When they first emerged on the scene as support acts for the likes of Trivium the initial reaction to Ghost was one of awe and wonder. You either loved them, absolutely hated them or, like many of just simply became swept away by the mystique and allure of Ghost for reasons you can’t quite explain. We can’t quite put our finger on it, but there’s just something about Ghost and MR’s Claire Frays was on hand to witness Sweden’s finest reach their greatest heights yet. Ghost. At the Royal Albert Hall, you say? Never has a venue been more apt, more appropriate for an act than Ghost at the Royal Albert Hall. It just has their name written all over it and the sheer amount of people who have travelled from outside of the UK just to be here speaks volumes. Tickets sold out within minutes. There is no support act tonight. Instead, Ghost will perform for close to three hours over two halves. Let’s get stuck in then, shall we? Ghost is now a seven-piece act and dare we say it, all the better for it. They opened with Prequelle’s, ‘Rats’. 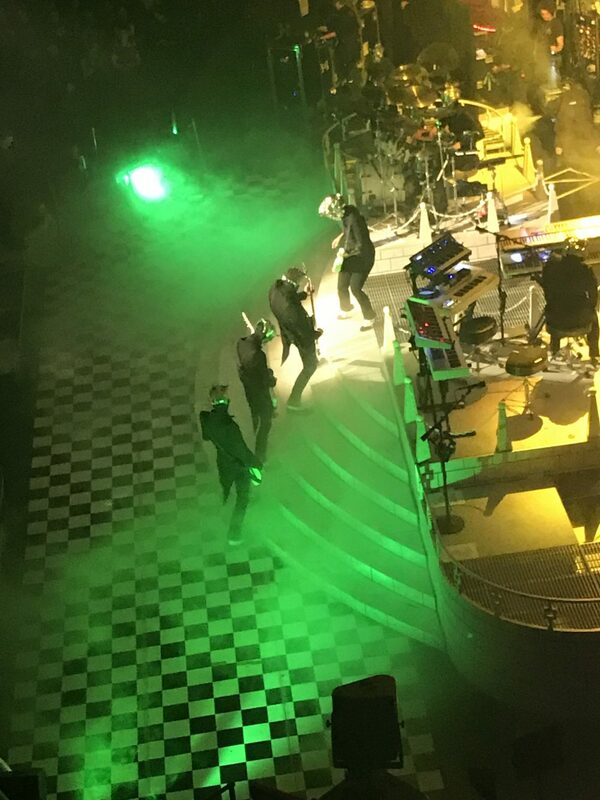 The only slight disappointment was that Cardinal Copia didn’t do those spinning dance tricks but with dry ice that thick we’re not really surprised he didn’t dust off the moves thrown in the music video. 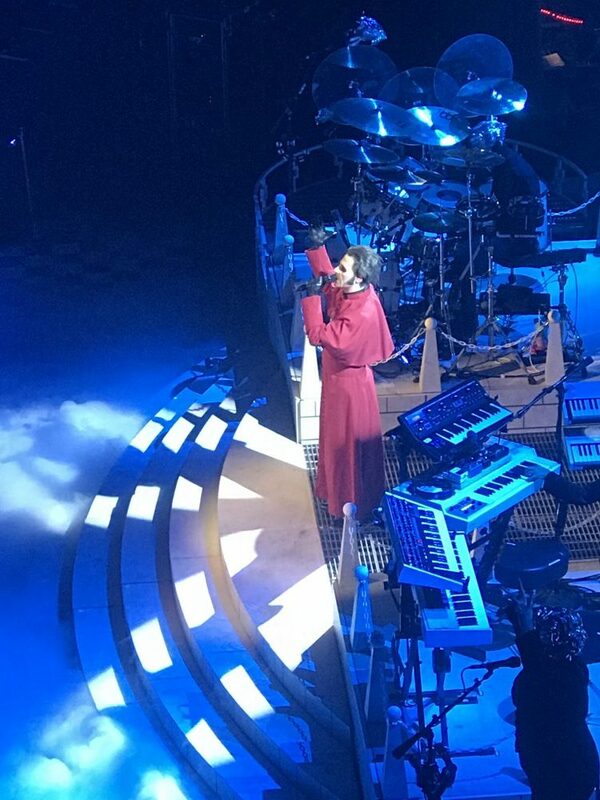 ‘Ritual’ featured early on in the setlist – old school fans will surely remember the days when it ended the shows – but it sounds as good as it ever will. Then came the bass lines to end all bass lines as ‘Con Clavi Con Dio’ hit off in true Ghost style. 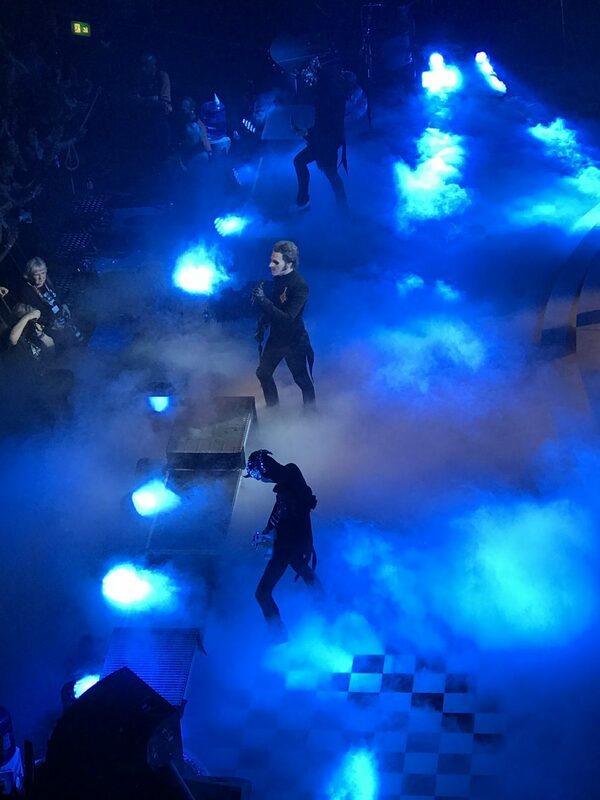 The Grammy-Award Winning ‘Cirice’ was just sublime in every single way and the Instrumental snazz-fest ‘Miasma’ which came shortly after allowed The Nameless Ghouls (and Ghoulettes!) to showcase their talents. They were even joined by Papa Nihil for the saxophone solo. A stripped back acoustic version of ‘Jigolo Har Megiddo’ came next with The Cardinal donning a get up not dissimilar to The Mask. The first half wrapped up with the brilliant Tango-esq ‘Deus In Absentia’. It’s clear by this point, Ghost is on fire tonight as punters try to come to terms with what they just witnessed. Picking up right from where they left off, act two got off to a flying start with ‘Spirit’ into the killer intro guitar screaming solo of ‘From The Pinnacle to the Pit’ back up with ‘Faith’ and the formidable choir chants in ‘Year Zero’, Things slowed down for a spine-tingling version of ‘He Is’. The Cardinal a top of the stairs front and centre, flanked by a few nameless ghouls and lights that looked like stars from many mobile phones and lighters in the crowd. You just can’t take your eyes off him. Here we’ll throw a quick nod to the epic staging and theatrics at all corners of Ghost’s set. This is what sets them apart from the ‘dressed like we could be roadies’ brigades of bands. They don’t have tonnes of pyro, everything is minimalist and subtle (minus the elaborate outfits of course), but really, it’s choreographed slicker than any formula one race team, yet never looks forced or too staccato. Everything Tobias Forge has crafted and everything the band does on stage is purposeful and seamless. From the way they stand to the flamboyant hand gestures of the Cardinal. It’s just all so brilliantly done to enhance the show. Things got heavy again for the head-bang inducing anthems and palm mute galore of ‘Prime Mover’ and ‘Mummy Dust’ as the Cardinal strutted across the stage. But there was still more to come in the form of the catchiest songs in Ghost’s armoury – ‘Dance Macabre’ into ‘Square Hammer’. Not a person was stood still at this point as the atmosphere reached pure ecstasy. What we witnessed was perfection from start to finish. Flawless from the concept, the staging, the sound right down to the theatrics, and even down to the way the Cardinal tossed his hats to the technician’s side-stage. Utterly spell-binding. When we say gigs don’t often reach heights like this, we mean it. Those in attendance left knowing they’d witnessed something special indeed. Who needs Cardi B, when we’ve got Cardi C? A true masterclass in performance.